It has been a while since my last post :/ but here I am. 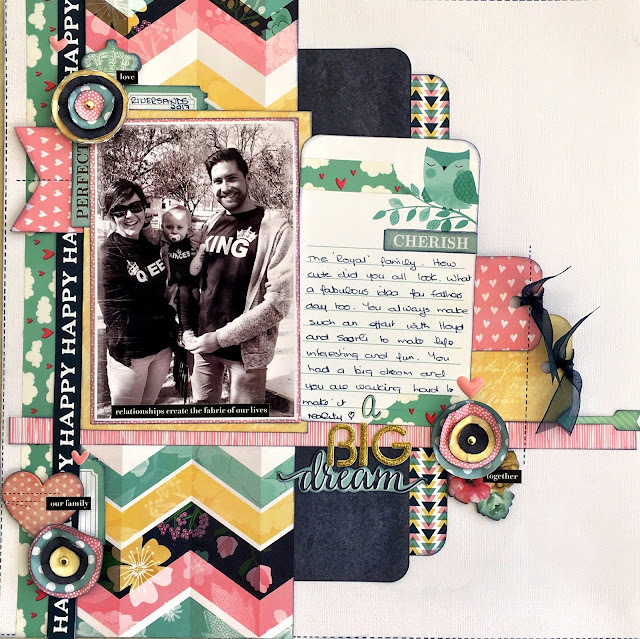 FabScraps is one of the sponsors for this month over at CSI and we were asked to make a layout for the challenges. Now as most of you may know I used to be on the DT at CSI and it is absolutely one of the best teams to be on, and it is great to be back as a guest DT. They are a great group of girls and Debbi Tehrani is a wonderful administrator who comes up with amazing themes for her challenges. If you have not played along before I highly recommend that you do. Go and check it out now! Scheme - I used all the colours in the Scheme. Evidence - Stripes and polka dots, banners, scallops, string, triangles, skull and cross-bones and buttons. Spence, You just loved your pirate outfit and you wore it all the time. You do make a very cute pirate but you are not fierce enough to be one. Have a pirate ship to sail the seas, pilaging and looting. Speak the lingo - Aaarrgghh me Harties! Drink rum - YOU are way to young for that. Be able to fight with a sword and you are too soft for that. You still look so cute though! I love how you are able to play on your own for hours. Making up games and getting lost in your own little world. Taking your pirate treasure from here to there and building up your wealth of things collected from your adventures. I hope that you never lose this ability Spence it will be your greatest gift to yourself. Play your games and enjoy your own company while you can, it doesn't last nearly long enough. Some of the bits didn't have the right colour so I covered them up like ticket that says 'The Story'. I cut the tags and the banner from left over paper and added the buttons on top. The title was cut on my silhouetted and an assortment of other alphas from my stash. I have made a couple of other layouts too so I will just show you them as well. This one is Hello Bunnies! For this layout I used my new Shimelle Laine - Little by Little collection. Most of you know I am very partial to Shimelle anything :D These papers are just so pretty. I would NEVER have used a paper like this as a background before but I love how it looks. My journalling on this layout says. We discovered little bunnies on the verge outside of our estate and one Sunday we decided to take our 3.5 year old grandies to go and feed them. All armed with little bags of lettuce. They were so hesitate at first but once the got the hang of it they had a ball. Now every time them visit we have to take them to feed the bunnies. Sweet moments! I layered up the critter paper onto an American crafts circle patter that was the right colour. I felt that it was too much pattern on pattern so I broke it up by layering a thin black border onto the critter paper. The yellow is from my stash and the pink is the B-side of another Little by Little paper. I used a couple of the journalling cards to journal on and fussy cut the cameras and the big bunny. The little flowers were from a sticker sheet and I added a little black washi tape film strip to bring back the black. I popped some of the elements up for a little visual interest. Because I wanted to make the HELLO part of the title I added some glossy accents to it. You can see the black washi tape. I love this one and I can't find more anywhere :( I am very sad about that. Here is another layout using the same collection. Lots of layers and some faux stitching and some circle flowers for a little dimension. You can see the faux stitching and some washi tape too. The heart came from a chipboard sheet and already had stitching on it... win win. Thanks so much for stopping by to take a look and for taking the time to leave me a comment. I really appreciate it. I'm not sure how I missed this post Val. Who was it that said "Life is what happens to you, when you are busy making other plans?" 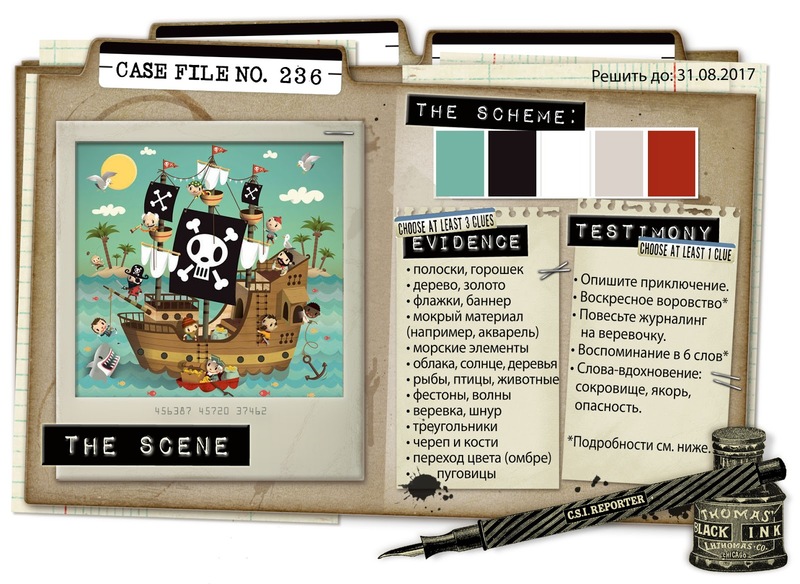 Three stunning pages starting with your little pirate in the bold reds and blacks. I love it when they use their imagination and entertain themselves. 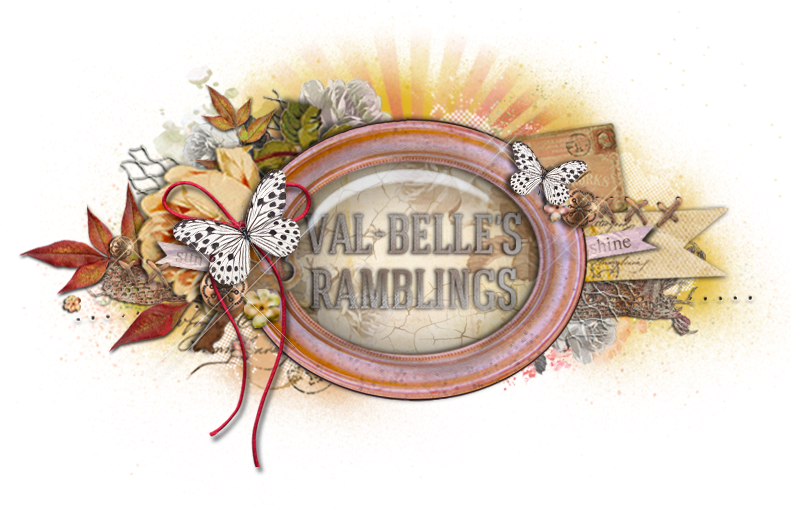 Love the memories on the bunny page and that background paper with the foxes is perfect for your story. The papers and design of your Father's day page are inspirational - I've not seen that range here. Cute little Princess with her Royal parents. Thanks for the inspiration.